As adolescents, many of us experienced the rage-against-the-authority attitude that was been captured in music in the early 2000s. For some 20-somethings, the rise of bands like Death Cab for Cutie and Panic! At the Disco were a welcome change from the bubblegum-pop-star heavy '90s. Now, those adolescent days of protest seem more relevant than ever, considering that there's a presidential election with a candidate who dismisses disgusting comments about women as "locker room talk." 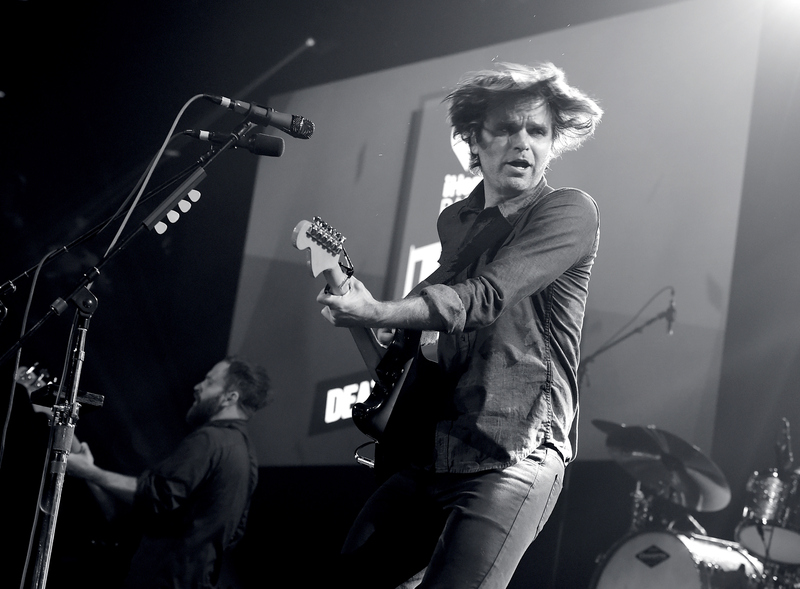 Our favorite adolescent bands feel our rage, and one — Death Cab for Cutie — is responding to Donald Trump with music. Lyrically, ‘Million Dollar Loan’ deals with a particularly tone deaf moment in Donald Trump's ascent to the Republican nomination. While campaigning in New Hampshire last year, he attempted to cast himself as a self-made man by claiming he built his fortune with just a ‘small loan of a million dollars’ from his father. Not only has this statement been proven to be wildly untrue, he was so flippant about it. It truly disgusted me. Donald Trump has repeatedly demonstrated that he is unworthy of the honor and responsibility of being President of the United States of America, and in no way, shape or form represents what this country truly stands for. He is beneath us. The song appeared on Spotify Monday morning, before the band confirmed that it was indeed about Trump. It is amazing shade at the Republican nominee, as he's never directly mentioned. But given the context, we all realize the digs are about him. A biting verse goes "From a great height he's looking down on his city at night / From gilded room of gold, marble and soft perfume / And he's proud to say he built his fortune the old-fashioned way / Because to succeed there's only one thing you really need..." before launching in to the chorus about the million dollar loan. It also includes the line "Because it's a sign of weakness to apologize / And he counter sues from any corner he's backed into." The song is a part of a series called 30 Days, 30 Songs, started by writer Dave Eggers. On each of the 30 days leading up to the presidential election, one song will be released by a different band which has joined the anti-Trump movement. It will be interesting to see who else is involved. Maybe Fall Out Boy will get in on the protest too?